If you haven't heard of Spirulina yet- you've probably heard of it's street name. 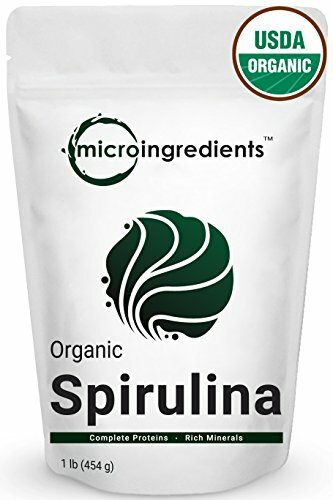 "Pond Scum"
Spirulina is a natural algae (cyanbacteria) powder that is incredibly high in protein and a good source of antioxidants , B-vitamins and other nutrients. When harvested correctly from non-contaminated ponds and bodies of water, it is one of the most potent nutrient sources available. It is largely made up of protein and essential aminoacids , and is typically recommended to vegetarians due to its high natural iron content. The high concentration of protein and iron also makes it ideal during pregnancy , after surgery , or anytime the immune system needs a boost! 🍃Other studies show that it not only lowers blood sugar but may also lower HbA1c, which is a long term marker of blood sugar levels. 🍃Spirulina can bind with heavymetal in the body and help remove them. 🍃It is also extremely high in Chlorophyll which helps remove toxins from the blood and boost the immune system. So- If you see me sippin' some scum, that's my "Pond Water" - one table spoon of this #superfood is all you need to start your day! Great in smoothies as well! You can purchase Spirulina at Thrive Market! (If you haven’t heard of Thrive Market- think Whole Foods meets Costco Online!) It’s literally the most genius way to shop the best healthy, natural, non-GMO items from top-selling brands at wholesale prices, delivered to your door!